Connecting people from different worlds to life-changing travel experiences. Morocco is a collage of sights, sounds, emotions and raw culture. For travelers visiting from the European or American continents, it’s a unique adventure that must be undertaken at least once in your life. Morocco is the most enchanting country in North Africa and continues to delight and enthrall tourists with its starkly contrasting teal oceans, snowy peaks and expanse of desert. And even though it is just an hour’s journey from Spain, Morocco manages to maintain its own identity of mingled danger, adventure and the thrill of the unknown. 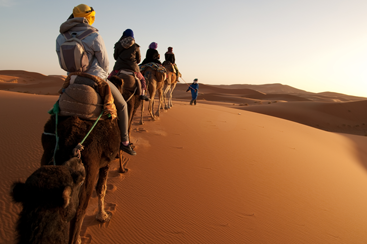 Browse our tours of various lengths to catch a glimpse of the exotic locales Morocco has to offer. 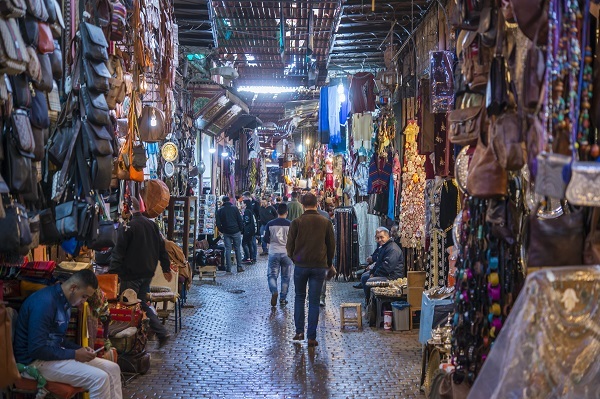 Souk is the native term for the colorful markets of Morocco. These street markets can be found in every major city and are one of the most entertaining tourist attractions. They are always buzzing with colors, delicious aromas of local cuisine, and handcrafted items from the locals. Regardless of your shopping instincts, you should visit the street markets to enjoy the prominently featured mint teas and the delectable pastries at any of the bakeries. You get a touch more adventurous and carry back traditional spices to delight your taste buds back home. Mount Atlas is one of the most renowned mountain ranges in North Africa. It offers the open space to indulge in a diverse array of activities from trekking to biking. It is home to some eclectic and stunning flora and fauna scattered all across the mountains. A trip to Morocco would certainly be incomplete without visiting this completely unique area. As you reach the base of the mountains, you will find the beautiful costal town of Agadir. The seaside is dotted with aromatic cafes, delicious restaurants and bars. After a tiring trek, it is worth relaxing at Agadir’s beach resorts. 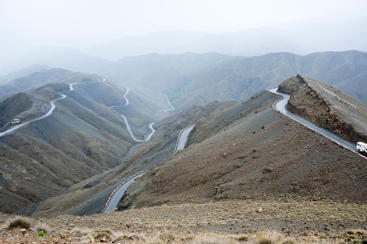 Morocco is known as a sub-Saharan landscape. It is only natural then, that you should undertake a desert excursion in the Sahara. The safari covers various cities, from Marrakech to Fez. If you've ever pictured yourself traversing the towering sand dunes of an ever-expanding desert on camel back, you'll get to experience the fantasy. Finish off the day with a one-night stay in a real desert camp. Locals will narrate mythical tales from the desert while you relax beside the fire and gaze at the star filled, glittering night sky. It's a must for any trip to Morocco and we're proud to provide an authentic experience. Get a FREE Travel Tip Guide to Morocco!